An original 1959 mono pressing on the classic red-and-black "6 Eye" label. These pressings are sought after for their great sound and this one doesn't disappoint. Despite the awful condition of the cover, the heavyweight deep groove vinyl is in surprisingly nice condition, and the musicians just jump out of the grooves. This label version was used by Columbia from 1956 to 1962, when it was replaced by the "2-Eye" label from 1962 until 1970. The "6-Eye" is more prized by collectors, but think twice before passing on a "2-Eye" label if you find one in good shape, as those offer nice vintage sound quality as well. What Is There To Say? is rightly considered one of Gerry Mulligan's best albums, which is quite a designation if you think about how many great LPs the dude put out over his long career. The piano-less quartet setting is perfect for the group on hand, which includes the criminally underrated Art Farmer on trumpet and the very talented Dave Bailey on drums. As usual Mulligan's playing on the baritone is a revelation: the gentle flowing tone he gets from his instrument practically defines the cool jazz genre. What Is There To Say? firmly falls into that genre, with it's overall laid back vibe (particularly on the title track), although the group does get the chance to up the tempo on a few quality hard bop tracks. "But some of the people who do the most talking about jazz (that may even be the basic problem, right there!) don't seem to get any real fun out of listening to it. 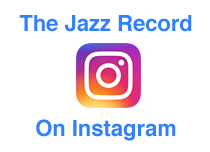 It seems to me that all the super-intellectualizing on the technics of jazz and the lack of response to the emotion and meaning of jazz is spoiling the fun for listeners and players alike." I couldn't agree more with that assessment, be it in 1959 or today, when critics and fans are constantly analyzing every aspect of jazz it can take away from the simple pleasures of the music (this, of course, is true of any art form). I could even take it one step further and say the same thing applies to many folk's newfound interest in vinyl. Forget about which pressing you have, whether it's in stereo or mono, where it was pressed, which master was used, and just throw the record on the turntable and enjoy the music! This first clip is from 1958 and features the same group present on What Is There To Say? with the exception of Henry Grimes on bass rather than Bill Crow. The video quality isn't great, but the music and talent of these masters all shines through. Next up is another Gerry Mulligan piano-less quartet, this version featuring the great Bob Brookmeyer on trombone, Wyatt Ruther on bass and Gus Johnson on drums. The group runs through a nice take of Open Country on Ralph Gleason's Jazz Casual program that originally aired in 1962.